I won't deny that, despite being a grown man the wrong side of 30 (cough), my excitement levels went through the roof when I saw the trailer for The Lego Movie. 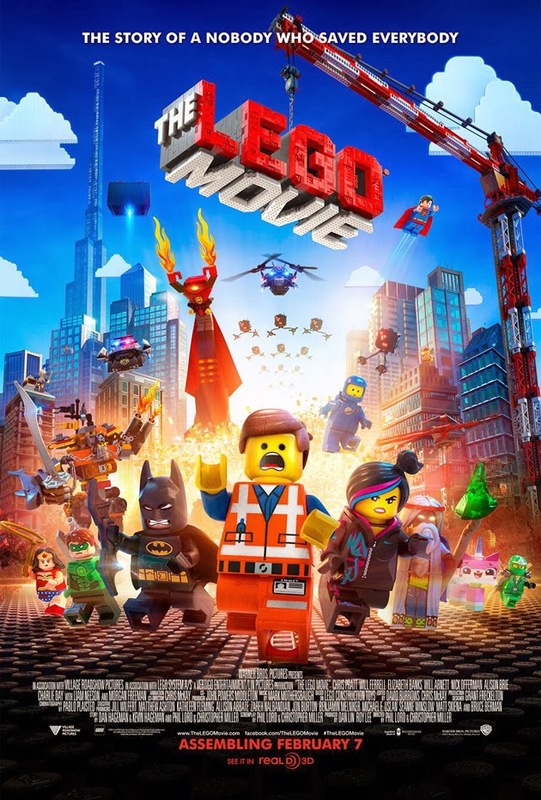 Not only was it made by the people who brought us the superb Cloudy With A Chance of Meatballs, but it was a proper Lego film. By that I mean everyone involved got what Lego is about, right down to the laser beams being recognisable pieces of Lego. You probably have to have spent your formative years - or last night in my case - building stuff to really appreciate just how exciting it is to see an entire universe built out of those little Danish blocks of genius. But, you don't have to had such a childhood to enjoy this film. You just need to be human. There's a plot, which helps - evil Lord Business wants to control everything and has to be stopped - but to be honest that's just the framework on to which endless gags, laughs and bags of fun are bolted. Because if there's one thing this film is, it's fun. With a capital F. And U. And N.
And it works on all levels. For the target audience, it's a Lego man who has to save the universe - something that's attempted at high speed with more gun fights and explosions than Michael Bay could dream of. For the grown-ups "dragged" along (I forgot to take a kiddie along, my bad) there are so many other jokes flying off the screen you'll forget to pretend you're only there because the children begged you. There are Star Wars jokes, Batman jokes, Lego space jokes, Duplo jokes, good cop bad cop jokes, jokes about glue, jokes about big business, jokes about media control, jokes about a a kitty unicorn, jokes about Green Lantern... you get the gist. You see, in this modern, President-Business kinda world, thanks to focus groups n wotnot it's damn hard to find a film that the whole family can enjoy. You've got your Tinkerbell movies for the under-threes, High School Musical for the older age group, popular book adaptations for the next lot up, and then you have to either be a teenage boy, a teenage girl, a man or a woman. There is something for every demographic here - especially if you've ever so much as picked up a Lego brick. There is a moment late on when an 80s Lego spaceship appears on a small video screen, causing me to almost leap from my seat. It was one of the first Lego models I ever got. And it was awesome. The fact someone knew that was an image that was needed in this movie shows you just how much love and attention to detail has gone into this. Yes, the song is annoying - but you'll still be singing it for weeks. Yes, the message is handled with all the subtlety of a Lego brick under a bare foot. This is unabashed, unashamed, unavoidable fun. It's been out for weeks and it's still on three screenings a day. Critics have all lavished praise on it. And there's a good reason for all of this. The assembled voice cast have all bought into the premise (indeed, this may be the best performance from Liam Neeson in years) and all deliver believable performances. You believe in the characters, the story, the action and the mad pirate fella. In essence, there is nothing to not fall in love with. Oh, and the 80s astronauts are all over the place. Which is even more awesome.